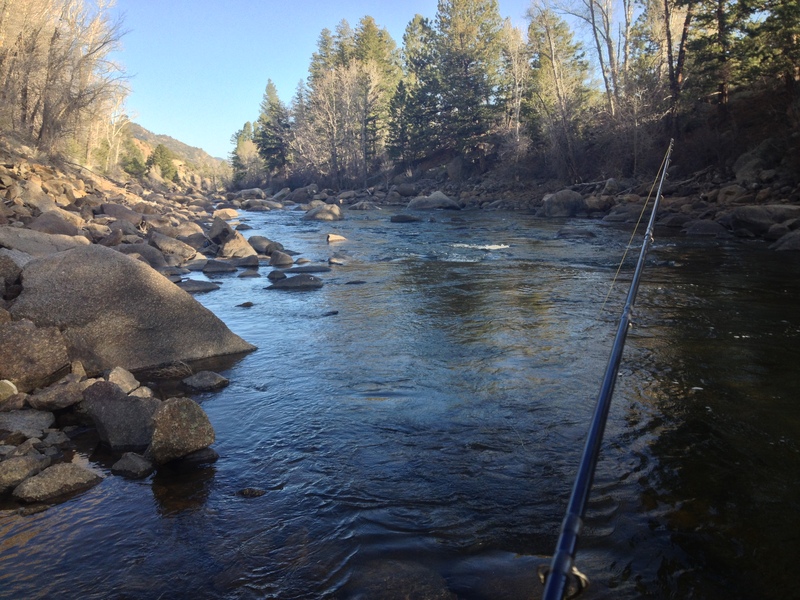 Here at SAGE, we are passionate about our home waters in the Vail Valley. This area is home to some of Colorado’s most productive alpine fisheries and we are committed to keeping them healthy. We follow strict catch and release practices and do everything possible to avoid the spread of invasive aquatic species We love our our home rivers and know you will too! We have the unique privilege of fishing nearly a mile stretch of private land along the Eagle River, just 15 minutes from Vail and Beaver Creek. Our exclusive access means unpressured water, solitude, and healthy numbers of brown, rainbow and cutthroat trout. 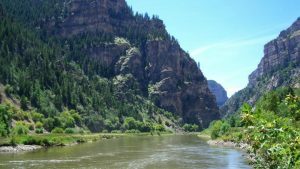 This iconic river offers great fishing amid a dramatic canyon landscape. 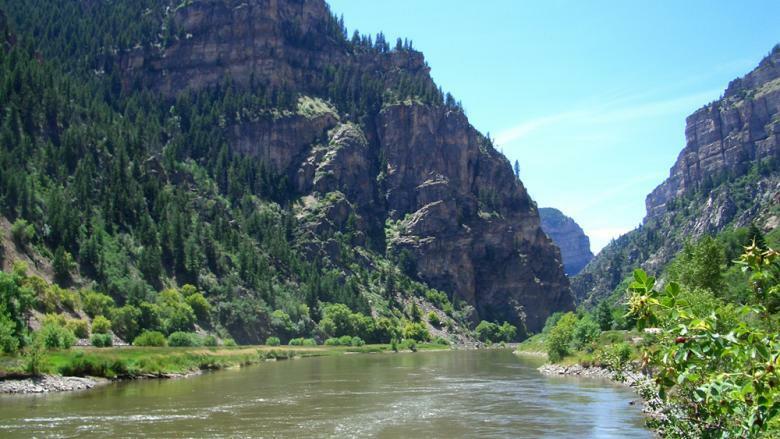 Float trips are the ideal way to experience this part of the Colorado River. Whether you’re throwing streamers to the banks, nymphing deep runs and riffles or delicately presenting dry flies to subtle risers, this river has it all. Rainbow, Brown and Cutthroat Trout average 8-16 inches in size but fish in the 20+ inch range aren’t uncommon. Oxford Lake is a high alpine in a totally private setting northwest of Vail. This exclusive lake is only available to Sage fly fishing guests. The lake sits in a stunning alpine location, with mature aspen and evergreen forests, abundant wildlife, and sweeping views of the Colorado river basin and the Gore mountain range. Guests may choose to fly fish, or cast to trout with traditional spinning gear. Oxford lake is a perfect destination for families and groups of all ages. Two small boats are available to guests to use for fishing and enjoying this idyllic mountain lake. Marma Lake is a pristine alpine lake, nestled high in the remote mountains north of Vail. This private lake is totally surrounded by National forest and Sage guests have exclusive access. Getting to Marma Lake includes a scenic backroad trek in a 4X4 vehicle. Once on the lake you will enjoy fly fishing or spin casting from shore, or from the available boat. The lake is loaded with healthy rainbow trout. Your group will have the lake all to yourselves, a perfect picture of mountain solitude. Your guide will prepare a gourmet lunch at the lakeside. Not only does the lake offer excellent fishing, the surrounding area is a natural playground for kids with plenty of room to explore. The Piney River offers some of the very best backcountry fishing in the state, and Sage guests get to enjoy the only private access. The Piney Valley Ranch is a 30,000-acre hideaway near Vail. The Piney River runs right through the ranch, offering seven miles of pristine, private water. Sage has exclusive access to this incredible fishery. Our anglers enjoy access with side-by-side ATV’s, as the river channel follows a rugged and remote canyon through the ranch. We only offer full-day trips to the Piney River due to its remote location. But once you’re there, you may never want to leave.